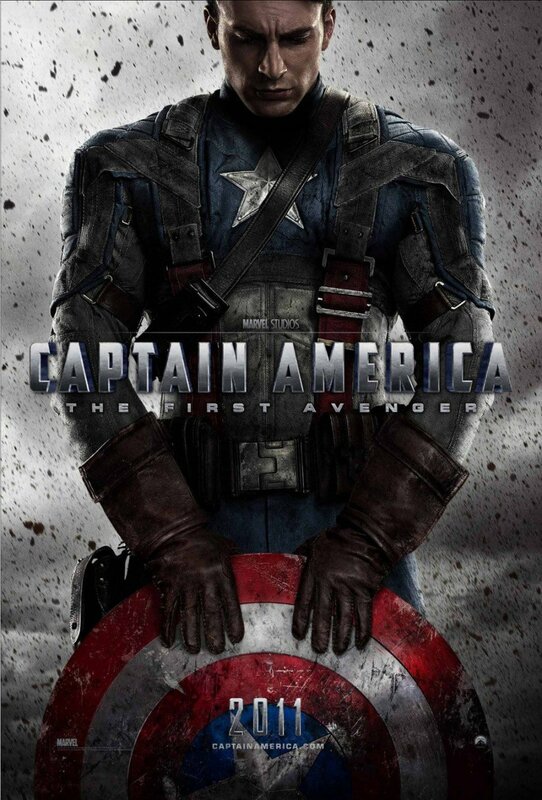 I don’t plan to spend much time on the first 105 minutes or so of Captain America. Suffice to say, I enjoyed it, as I have pretty much all the Marvel adaptations. It’s a fun adventure through an American folk memory version of World War II, with a few nods to Raiders of the Lost Ark as well as the rest of the Marvel canon. It looks good, has a decent cast, a few good jokes, and all in all should satisfy anyone who has enjoyed the original comics. But then you get the ending. Which I’m going to talk about in detail, so beware if you haven’t seen the film yet. It’s hardly a secret that the film is another designed to lead into next year’s The Avengers, which I’m looking forward to. So it’s also hardly a shocker that the film sets up Captain America’s unfortunate freezing, allowing him to be woken in the present day still looking like Chris Evans; this is alluded to in the opening scene of the film. But the way its handled is a major misjudgement. Everything’s fine until we reach Cap’s final face off with the Red Skull, in the latter’s plane. At this point, Cap’s shield gives the Skull’s power source – the Cosmic Cube (I think that’s right, though I’m not 100% on all areas of Marvel lore). The Skull picks it up and is apparently disintegrated (or possibly beamed up to Asgard in order to scheme another day). This is my first issue with the ending: Cap appears to have beaten the Skull more by luck than anything else. Unless I blinked and missed a bit of exposition (not impossible), he wasn’t fully clued up as to what the cube was and had no particular reason to think smacking it with his shield would solve all his problems. And the Skull was pretty stupid to just pick it up like that, but then he is evil and mad and all. But the biggest problem comes shortly afterwards, as Cap realises he’s going to have to go down with the ship and says a tearful goodbye to his love interest. He crashes. Then wakes up in the present day, in the very next scene. That’s the end of the movie. This is doubly necessary because Steve Rogers has not fundamentally changed at all since we met him. He starts out as a decent guy who just wants to do the right thing; he ends up the same way. If a story, even a broad and simplistic one like this, is going to satisfy the audience then it needs to show that the characters have changed. And if the lead can’t change, then we need to see how he has changed others. Other Marvel movies understand this: Iron Man, Thor, Spider-Man all have lessons to learn in order to become heroes. That’s why those films (even Iron Man II, just about) satisfy as films in their own right. But Captain America doesn’t: what could have been a perfectly entertaining adventure is turned into nothing more than a two hour trailer for The Avengers, for which we’ve been charged the price of a normal ticket. I’d hoped for, and expected, more. This entry was posted in Uncategorized on August 2, 2011 by Gareth Negus. The best was X-Men: First Class. Green Lantern isn't Marvel!